The adoption of low-level light therapy as an effective treatment for myriad medical conditions is growing ahead of clinical trials. More than 50 years ago, when lasers were a new phenomenon, a Hungarian researcher applied a low-powered ruby laser to mice and noticed it stimulated hair growth and wound healing. To date, over 500 clinical trials and 4000 laboratory studies have sought to examine the medical benefits and better understand the biochemical mechanisms underlying photobiomodulation (PBM) — previously known as low-level light therapy. The results have often been mixed. Sometimes the light works in amazing ways, sometimes it doesn’t, so skepticism in the field has prevailed. In recent years, however, the usual wisdom has shifted to recognize that results may not always be positive because of the high number of complex variables affecting outcomes, including wavelength, power density, dosage time, application site, fluence, pulse structure, and treatment interval1. Selecting the correct parameters leading to a successful experiment outcome is a task akin to searching for a needle in a haystack. However, the positive outcomes are undeniably compelling when a study identifies an effective light source and dosage for a particular application. Numerous studies have found that red and NIR light from lasers or LEDs in the wavelength range of 600 to 1070 nm at low powers of 1 to 500 mW can consistently demonstrate benefits in three areas: relieving pain, reducing inflammation and modulating immune responses, and promoting wound healing (Figure 1). But the “how” is elusive; the dose of light and the method of applying it to relieve pain in the neck is different than that used to treat pain in the jaw or the back. Figure 1. The positive results of photobiomodulation (PBM) for treating pain are paving the way toward clinical trials and government approvals. Courtesy of THOR Photomedicine Ltd. The most understood mechanism of PBM involves a critical protein called cytochrome c oxidase (CCO), the part of the mitochondrial respiratory chain in cells responsible for reducing oxygen to water in glucose metabolism2. A cell that is hypoxic or dying produces nitric oxide (NO), which inhibits the enzyme activity of CCO. But photons of red and NIR light are able to dissociate the problematic NO. The dissociated NO enables the mitochondrial membrane to better metabolize oxygen and glucose to produce more adenosine triphosphate (ATP), the primary source of cellular energy that regulates cellular processes (Figure 2). Figure 2. One major cellular mechanism behind PBM is the activation of the mitochondrial respiratory chain that begins when cytochrome c oxidase (CCO) absorbs red to NIR light. The resulting inhibition of oxidative stress stabilizes metabolic function and initiates a cascade of signaling to promote cellular survival. Courtesy of LumiThera Inc.
Scientific literature reports several transcription factors and signaling mediators that may play roles in the long-lasting benefits that light exposure can provide, including cell membrane receptors or ion transporters (particularly relevant to pain), and an extracellular growth factor activation: TGF-β1. Studies in PBM have long recognized that cells react to light therapies with a biphasic dose response. The effect, first observed in 1877 and named the Arndt-Schulz rule, states that moderate doses of light are more effective than low or high levels for stimulating and repairing tissues (Figure 3). As the dosage gradually increases, the beneficial cell response (also called activation or stimulation) gradually increases until it reaches a maximum or sweet spot3. The benefits reach a steady state within a “Goldilocks” middle range of light irradiation and exposure time. Beyond that, increasing the dosage further causes the response to decline back to the baseline. If the dosage increases even more, the cell’s inhibition (negative) effects dominate, resulting in more harm than good to target cells4. Figure 3. A 3D Arndt-Schulz-style model of red and NIR light irradiance on cells illustrates that induced stimulation of cells peaks within a ‘Goldilocks’ range of irradiance intensities over time. Courtesy of THOR Photomedicine Ltd. The Arndt-Schulz rule, originally developed to describe the effects of various toxins on yeast, also applies to numerous other biochemical mechanisms aside from PBM. The concept, akin to “more isn’t necessarily better,” is helpful in describing the effective possible dosages of light, but is only the starting point considering the additional number of variables affecting outcomes. In 2015, an Australian politician named Max Burr, a sufferer of the degenerative movement disorder Parkinson’s disease (PD), became frustrated when his physician prescribed a further increase in the dosage of his PD medication. Inspired by a study on the use of 670-nm light and its beneficial effect on protecting neurons and reducing symptoms in parkinsonian primates, Burr bought a plastic bucket and worked with scientist friends to outfit it with 670-nm LED strips, later adding 810-nm strips, both of which stimulate neuron and nerve regeneration5, numerous studies have found. Despite IR and NIR light penetrating through only 2 or 3 cm of scalp, and PD affecting deeper regions of the brain, Burr wore the bucket over his head 20 to 30 min a day. After 18 months of treatment, he claims he staved off an increase in medication, recovered his sense of smell, and regained his ability to write and climb stairs. Although Burr’s improvement is anecdotal and does not equate to a clinical study, medical researcher Daniel Johnstone at the University of Sydney’s Bosch Institute said his own studies on mice have shown that PBM light therapy works by reducing cell loss in the dopamine-producing neurons of the substantia nigra, the deep part of the brain affected by PD6. Furthermore, Johnstone found that the benefit extended to mice exposed to light below the head, albeit head exposure saw better results. Because the benefits extended to mice exposed to light on their body and not directly on the cells of the brain, he hypothesized that beyond the primary mitochondrial benefit, a secondary as-yet-unexplained systemic effect behind Burr’s improvement may be involved. Stem cell mobilization, vascular, or immune system effects may be at play, although they have yet to be connected to PD7. Light therapy has not had universal success in every PD patient, but Johnstone believes it has the potential to slow the pathology of this disease, and that it therefore offers advantages beyond the current dopamine drug therapy and surgical deep-brain stimulation treatments. If such solid evidence exists that certain PBM light therapies are effective, relatively inexpensive, noninvasive, and devoid of side effects, why isn’t PBM widely recognized and put into practice? Although the process of acceptance seems slow, light therapy techniques are gradually being adopted for treatment of certain conditions. The Multinational Association for Supportive Care in Cancer (MASCC) and the National Institute for Health and Care Excellence (NICE) in England recommend PBM for treating oral mucositis, a debilitating condition caused by radiotherapy or chemotherapy. In the U.S., Blue Cross Blue Shield insurance now covers the cost of PBM treatment for oral mucositis when applied by a physician. Indeed, an endless array of related therapy devices are available on the market from multiple companies, and are already in widespread use amongst veterinarians, champion athletes, and forward-thinking doctors and dentists. However, cost is a barrier when devices must go through rigorous clinical trials, not to mention an expensive application process for regulatory approval, including hiring lawyers and consultants. Future commercial success of even the most amazing device is hampered by the fact that most insurance companies, as well as Medicare and Medicaid, do not reimburse for PBM treatment. Without the stamp of approval from the FDA, doctors in the U.S. could lose their licenses if they were to apply a non-FDA-approved device to a patient, or worse, do harm. Arany, who is the current president of the World Association for Laser Therapy (WALT), a global organization dedicated to promoting photobiomodulation, participated in a U.S. Congressional briefing in October 2018 on ending opioid abuse. Also presenting were James Carroll, CEO of PBM equipment maker THOR Photomedicine Ltd. in London; and Annette Quinn, RN, program manager of radiation oncology at the University of Pittsburgh (UPMC) Cancer Center. Carroll, known as “the rock star of PBM,” presented evidence to senior policy officials on the effectiveness of PBM for treating pain, especially in cases where it can replace opioids. Physicians and patients recounted how such therapy had effectively treated devastating pain that previously required highly addictive opioids that were prescribed when no other effective approaches were available. Quinn testified to the success of PBM in treating cancer patients with oral mucositis, an inflammatory, erosive, and/or ulcerative process inside the mouth caused by chemotherapy and radiation (Figure 4). Figure 4. Oral mucositis is a side effect of high-dose chemotherapy and stem cell transplants that makes it painful for patients to eat or swallow (a). PBM with red and NIR LEDs is applied to a patient with the condition (b). PBM improves tissue repair and immune response to relieve symptoms (c). Courtesy of THOR Photomedicine Ltd.
Arany described to the officials the mechanisms and science behind PBM. Once a skeptic himself on the possibility that light treatment could really be effective in medicine, he noted his research in stimulating new growth of dentin in teeth and testified that even his own beliefs have changed based on the evidence in the field and from his own research. Arany, Carroll, and Quinn hope the Congressional hearing will garner the support of U.S. policymakers, who can approve much-needed funding for clinical trials. In the meantime, proactive PBM adherents are not waiting for government approvals. Some early adoptions of such devices are proceeding while clinical studies try to catch up. THOR Photomedicine offers courses in the science behind PBM and proper dosing of these therapy devices. The practical dosages for different conditions vary by type of device. For example, a hand-held targeted “showerhead” device with a cluster of five 200-mW lasers at 810 nm can be used for analgesia in nerve pain for 30 sec in continuous mode. A single 200-mW laser at 810 nm can be used for 30 sec to deactivate pain trigger points. Devices of LED clusters at 2.5 Hz can be used for 1 min to promote healing of superficial injuries or to reduce edema by treating lymph nodes. The NovoTHOR laser bed, which resembles a tanning bed, is a whole-body device with a treatment duration of 10 to 20 min per session (Figure 5). Such devices have adherents in professional athletes and doctors around the globe. The NovoTHOR offers two wavelengths in the red and NIR: 660 and 850 nm. Figure 5. The NovoTHOR whole-body PBM treatment device has 2880 LEDs of red and NIR wavelengths (660 and 850 nm). Currently used in sports therapy, physiotherapy, and wellness, such PBM treatment is gaining recognition as a therapy for pain, arthritis, and numerous other serious disease states. Courtesy of THOR Photomedicine Ltd. While waiting for clinical guidelines, why not just go to a tanning salon? Although tanning beds may enhance mood and provide a good dose of Vitamin D, exposure to the sun or UV lamps involves higher-energy wavelengths and heat that can cause cellular damage. PBM therapy is a nonthermal approach that goes beyond electrostimulation or heating pads, and the stimulating wavelength windows are narrow. The acceptance is nearing critical mass. Medical device developer LumiThera Inc. near Seattle announced CE mark approval, allowing commercialization in Europe for its Valeda Light Delivery System, developed for the treatment of dry age-related macular degeneration (AMD) (Figure 6). Figure 6. The Valeda Light Delivery System is the first commercially available PBM treatment approved in Europe for treating dry age-related macular degeneration. Courtesy of LumiThera Inc. According to LumiThera CEO Clark Tedford, the CE mark requires rigorous safety and clinical trials but in many cases can be obtained faster than FDA approval. The new system uses three wavelengths — 590 nm in the yellow optical region of the spectrum, 670 nm in the far optical red, and 850 nm in the NIR — in a series of treatments applied to retinal cells of patients with dry AMD. Early clinical trials have found that the therapy improves visual function and visual acuity while also addressing inflammation, ischemia, and metabolic dysfunction. Further clinical trials are underway in the EU and will begin in the U.S. in 2019. 1. Y. Huang et al. (2009). Biphasic dose response in low level light therapy. Dose-Response, Vol. 7, Issue 4, pp. 358-383. 2. M. Hamblin (2016). Shining light on the head: photobiomodulation for brain disorders. BBA Clinical, Vol. 6, p. 113. 3. J. Carroll (2008). A 3D dose model for low level laser / LED therapy biostimulation and bioinhibition. Proc SPIE 6846: Mechanisms for Low-Light Therapy III, https://doi.org/10.1117/12.771183. 4. M. Hamblin et al. (2018). Non-mammalian hosts and photobiomodulation: do all life-forms respond to light? Photochem Photobiol, Vol. 95, Issue 1, pp. 126-139. 5. The Australian (Oct. 2017). Homemade helmet helps ease Max Burr’s Parkinson’s suffering, www.theaustralian.com. 6. D. Johnstone et al. (2016). Turning on lights to stop neurodegeneration: the potential of near infrared light therapy in Alzheimer’s and Parkinson’s disease. Front Neurosci, Vol. 9. 7. P. Arany (2016). Photobiomodulation therapy: communicating with stem cells for regeneration. 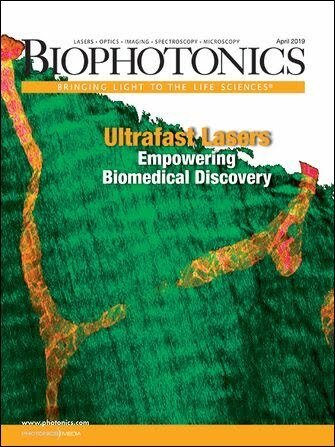 Photomed Laser Surg, Vol. 34, Issue 11, p. 497.